Providing quality clinical devices for over 25 years! 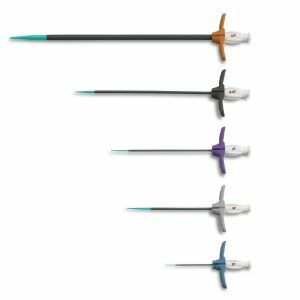 GaltNeedleTech’s Tearaway Introducer Sets & Kits combine precision ergonomic design with the high quality expected in fine medical devices. Each introducer system provides consistent performance, and offers a variety of kit configurations for every need. The smooth transition, easy and secure lock, funnel lead-in and unique patented ergonomic hub design add to a successful access every time. 14cm, 30cm, 44cm, and 50cm lengths available. Sizes available from 4Fr-16Fr, including some half sizes. Full kits or individual sets. For 5cm and 10cm tearaway introducers, please visit the Micro-Access product section. For 3cm tearaway Introducers, please visit the Microslide product section.